The PRPDC is hosted by the Hawaii Institute of Geophysics and Planetology, University of Hawaii at Manoa. The PRPDC is one of seventeen Regional Planetary Image Facilities (RPIF) around the world, archiving planetary data that serves the planetary research and education community throughout the Pacific. 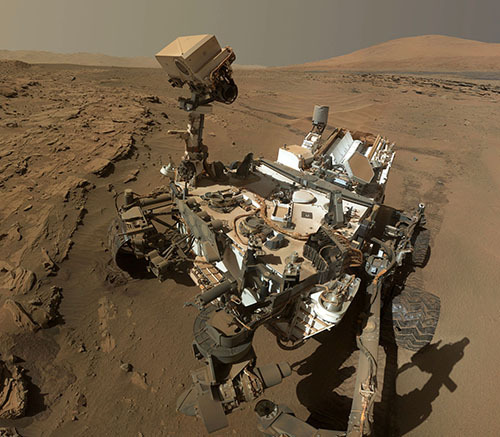 We strive to provide users of NASA planetary data with some of the latest information about on-going NASA missions, as well as access to these data sets and derived products that help with their interpretation. 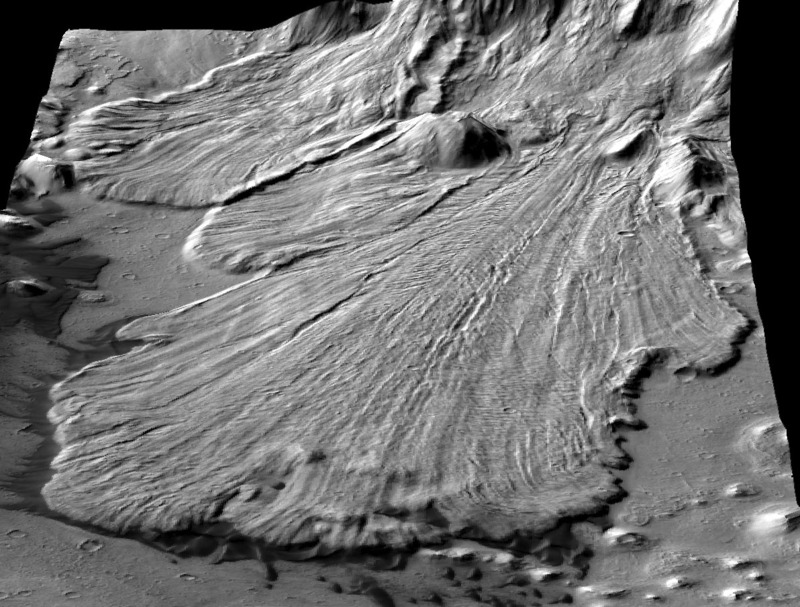 After years of fine effort, the Arizona State University RPIF has discontinued the production of a monthly selection of the best new planetary images. But from July 2018, Hawaii's PRPDC has taken up this effort to provide the community with a selection of images. Click here to see this month's selection, and our archive of earlier images. Hawaii's RPIF has started to place digital elevation models (DEMs) derived from CTX images of Mars. We currently have almost 50 different DEMs on-line, along with .stl files and other information about the data. Click here to see our current selection, which includes impact craters, volcanoes and other landforms. Clementine materials in our collection. Back in the 1970s and 1980s, many of the planetary researchers at the University of Hawaii went to the Mauna Kea telescopes to collect spectra of the Moon, asteroids, and comets. We are starting to digitize some of their old plots. 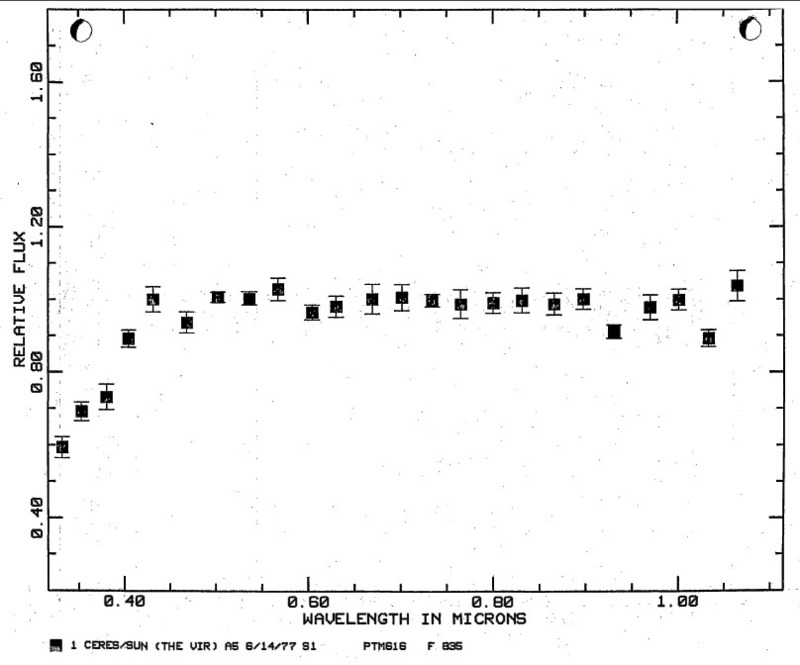 Click here to see the spectra of the asteroids and comets. The PRPDC has followed Brown University's RPIF's lead, and has started to produce planetary landscapes in stereolithography (.stl) format files for download and your use. You could also visit the Brown RPIF site for to see their data at (Brown RPIF's 3-D Prints). The PRPDC is producing .stl files for the CTX-derived Mars digital elevation models that we have on-line. In addition, there are the other .stl files you can also download. 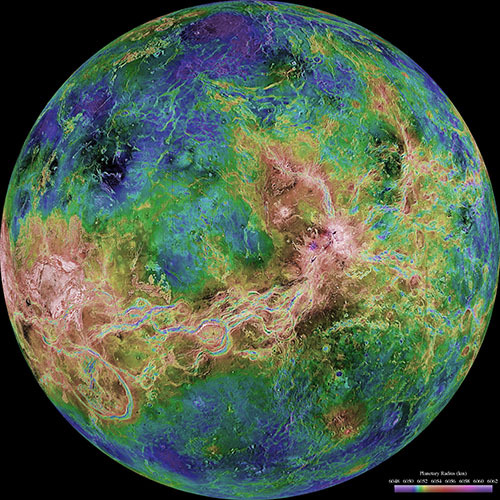 Click here to go direct to our description of how to use the Planetary Data System (PDS) web sites at the U.S. Geological Survey (Flagstaff) and the University of Washington at St. Louis. Click here to read our description on how to work with the University of Washington at St. Louis's Planetary Data System (PDS) Geosciences Node. On March 16th, 2018, in honor and rememberance of the PRPDC's founding Director, Dr. B. Ray Hawke, the International Astronomical Union-Planetary Nomenclature Committee approved the name "Hawke Crater". 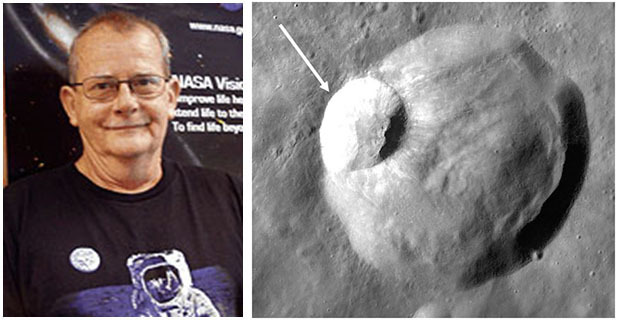 Please see our special page describing this crater.